Following their Easter party, Groove Odyssey returns to Ministry of Sound on Bank Holiday Sunday 30 August to present House Legends. London’s original soulful house night has lined up a feast of classic house, soul, funk and real deep house from the American house DJs Joe Claussell and DJ Spen, backed up by the UK’s Jazzie B, Bobby & Steve and Paul Trouble Anderson. 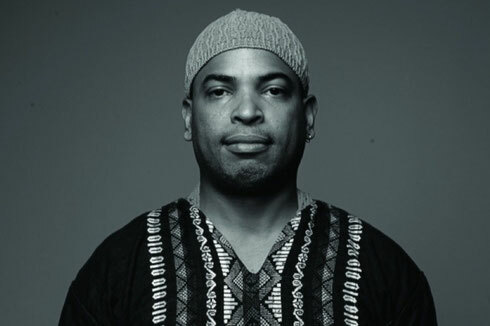 Headlining in The Box will be Joe Claussell, the Brooklyn DJ and founder of eclectic house labels Spiritual Life, Sacred Rhythm and Ibadan Records. In 1996, Joe joined Francois K and Danny Krivit to play for the Sunday afternoon NYC party Body & Soul, which apparently became one of the most revered house music parties the world over. As a musician, Joe is currently playing alongside the pianist/keyboardist Bugge Wesseltoft, in a band that includes Erik Truffaz, Ilhan Ersahin, Med Band and Torun Erikse. Also in the spotlight is DJ Spen, the Baltimore DJ who came to prominence with Basement Boys and Jasper Street Company. In 2004, Spen co-founded the Code Red label, which was in partnership with Defected Records. He later joined the group The Muthafunkaz, releasing the album ‘The MuthaLode’, and also set up the Spiritually Sound label. Joining them in The Box will be the UK’s Bobby & Steve. Room 103 will be in full swing with classic house fired up by original house DJ Paul Trouble Anderson, joining Neil Pierce, Matt L-S & Jamsey, Funky P and Sol Brown. The Baby Box delivers a room of ‘80s and ‘90s soul, r&b and boogie classics headlined by Soul II Soul’s Jazzie B, DJ Bigger, Ronnie Herel and Lloyd Life and Selly J whilst in The Loft, leading radio station Housefm.Net DJs play the best in deep house sounds.